Bummed about the ABC series Wipeout being cancelled abruptly after their 2014 season? Fear not! The show lives on a multi-city tour where YOU are the star! 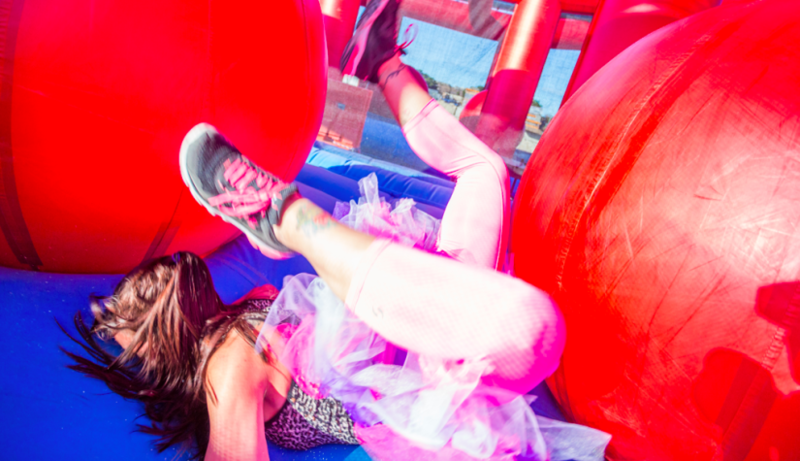 Developed in 2011 by VAVi Sport & Social in San Diego, CA, ROC Race took the world by storm and quickly became the fastest growing obstacle series in the nation, hosting over 150,000 “ROC Stars”. 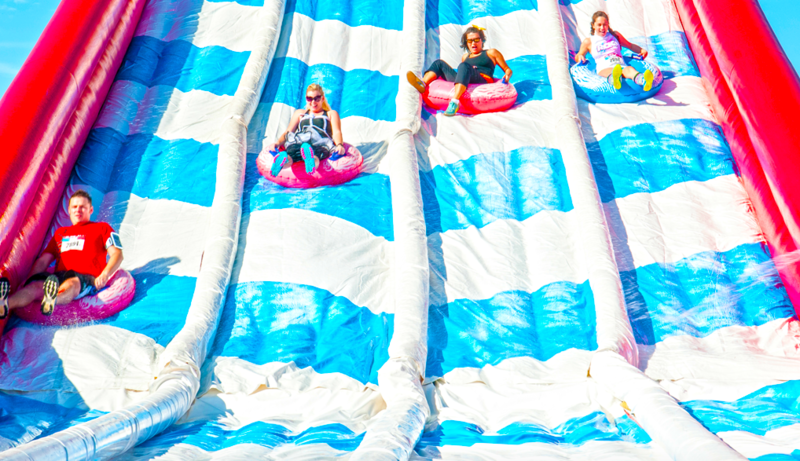 ROC Race and Wipeout have now teamed up to create the most epic 5k ever produced,where participants will experience iconic obstacles inspired by favorites from the hit TV show. 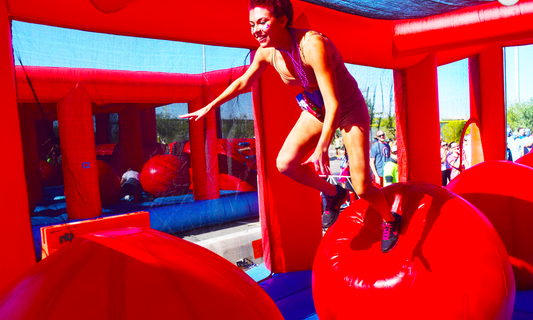 Starting in September 2015, Wipeout Run lets challenges contestants 18 years and older to test their skills and agility. 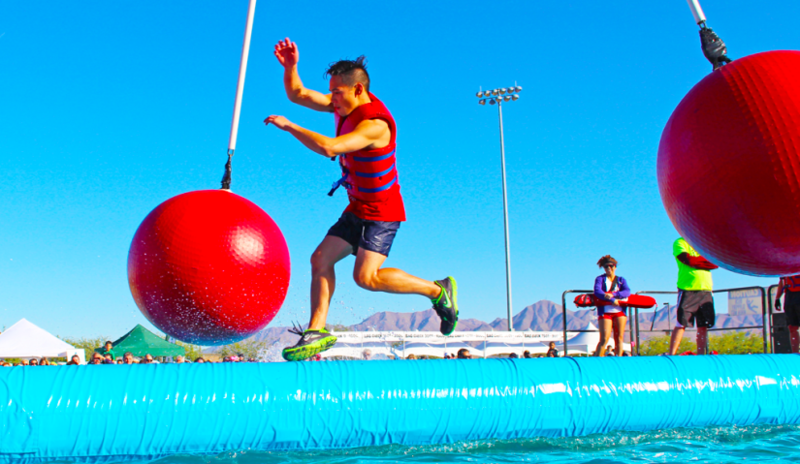 Participants will face challenges seen on the Wipeout television show like: the sweeper, tumble tubes and of course, big balls. 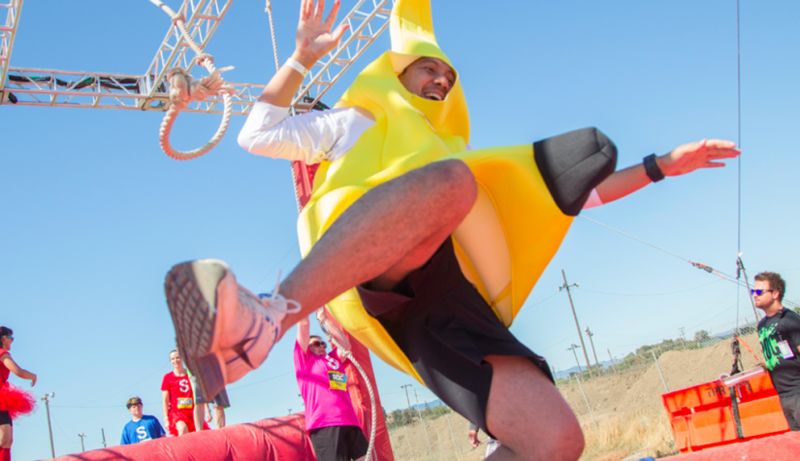 Even if you are not a fan of 5K runs or obstacle courses, this will be painfully funny to watch in person. 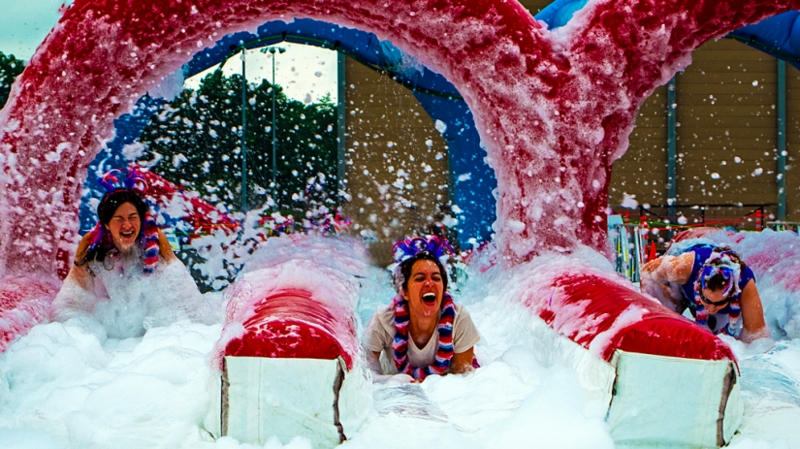 Theme Park University will be covering Wipeout Run when it rolls into Atlanta on October 3 2015! Meanwhile, if you want to checkout when Wipeout Run will be coming to your city visit www.WipeoutRun.com! This entry was posted in Outside The Parks, special events and tagged Big Balls, obstacle course, Wipeout Run, Wipeout TV show. Bookmark the permalink. Trackbacks are closed, but you can post a comment.